An awesome fellow photographer of mine posted this image on her Facebook page and I immedietly connected. I love ballet and how graceful they can turn and leap across the stage. We sit there in awe as they spin and spin and spin, but do we have a clue the struggle and sacrifice that was made to dance with such perfection. The bloody toes and lost toe nails, hamstring tears and whatever other injuries happen when a ballerina perfects her craft. My friend went on to mention some of the truth behind the perfectly composed images she crafts. I thought about myself and how as of late I have started to build my brand and the sacrifices it takes to do so. The late nights I spend editing and fine tuning, the money spent on creating images that my clients expect. It is amazing to me the time I have spent and others in the same boat as me, on trying to reach their goals. I didn’t just pick up my camera and shoot awesome pics. I have watched so much YouTube I should own stock, I’ve paid for mentors, tagged along with other photographers, and the list can really go on. I feel very blessed to have such an amazing supportive family and I know my sacrifice is also there’s. I post the finished product of the images but the struggle and pain and time is real!! It takes so much love and passion to do what we do. Delivering images my clients are proud of makes my heart so full!! So this is a note to any of you wanting to start a business, it’s stinkin hard!!! BUT!! 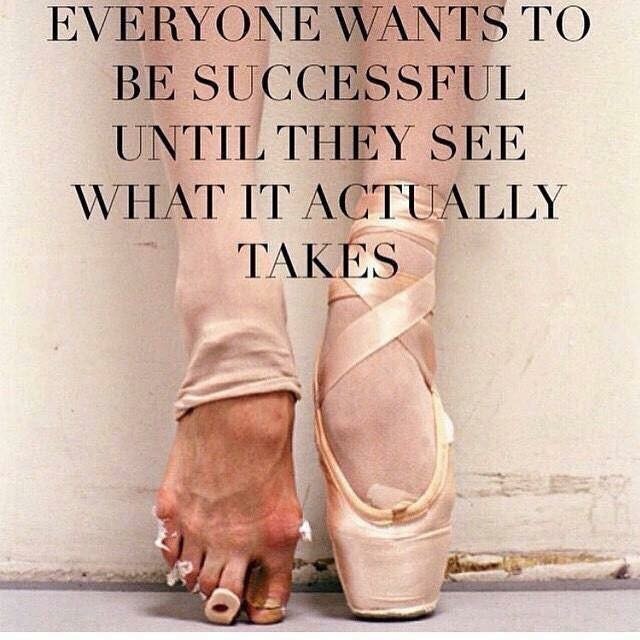 Don’t let the struggle stop you from the pursuit of a perfectly crafted arabesque.